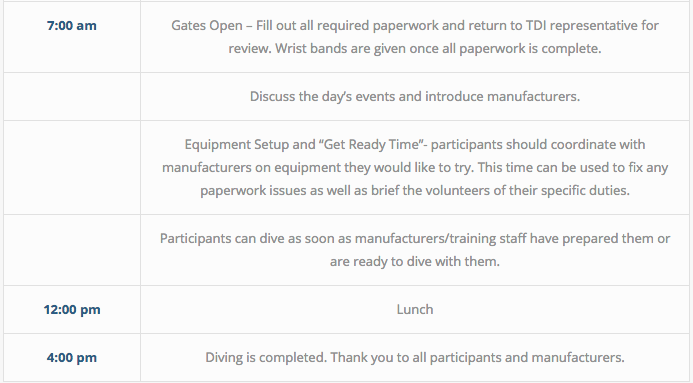 Mission Tech is a series of tech dive events designed to provide an opportunity for all divers (regardless of certification level) to demo the latest and greatest tech equipment from multiple manufacturers, and work directly with technical training professionals to ensure your experience is nothing short of extraordinary. Ever dive a rebreather or a scooter? You can here. Ever try sidemount? We got that too. Can you properly shoot a lift bag? We can show you how during Mission Tech. ​Free range of the park and diving!